Parking in London – what a nightmare! So that’s how I felt recently when driving at a snail’s pace around Canary Wharf, where I planned to shoot the steel and glass office blocks for a Nissan Qashqai ad for London agency DNA. How ironic, then, that the ad was about parking the new Qashqai, with 360 Around View Monitor. The idea being to highlight the flexibility of the Qashqai when it parks in tight spots. The clever part of the brief was to modify the cityscape and park the buildings around the car. The TVC was shot in America, but due to various constraints (mainly time!) I had to brave the notorious gridlocks of London to shoot the environmental assets in the glamorous location of Canary Wharf. While working I was approached by about 20 security guards asking for permits to shoot the glass towers. 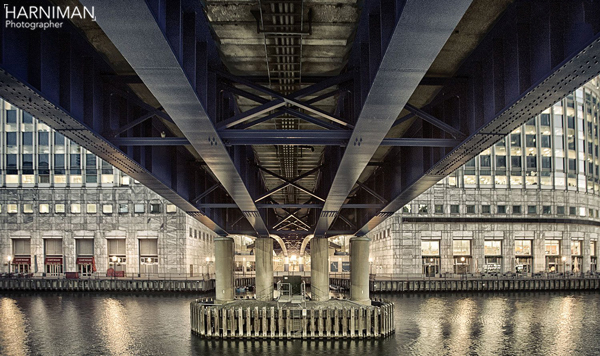 Canary Wharf Group PLC owns all the land and charges by the hour for pictures to be taken on location. Films like Batman and TV shows including the Apprentice, Dr Who and the Hustle have all been shot there. The money goes to a good cause: a charity called the Canary Wharf Film Fund, which supplies film equipment and training programmes for young people in the area. A great idea, so I thought I’d give it a plug. Back in the studio we built the scene out of the buildings, adjusted and played around with it till we were happy with how it looked. We then added the car, which Nissan sent us in 3D data form. Interestingly, the buildings were in two dimensions – from my shots – while the pavement and floor around the car were built in 3 dimensions. We retextured and animated the buildings, recreating everything in 3D or more accurately 2.5D. We also studied how big objects travel – blue whales and the like – and then moved the buildings slowly and elegantly into position around the Qashqai. Sounds like a lengthy process, but it all fell together very well once we started to build the set. 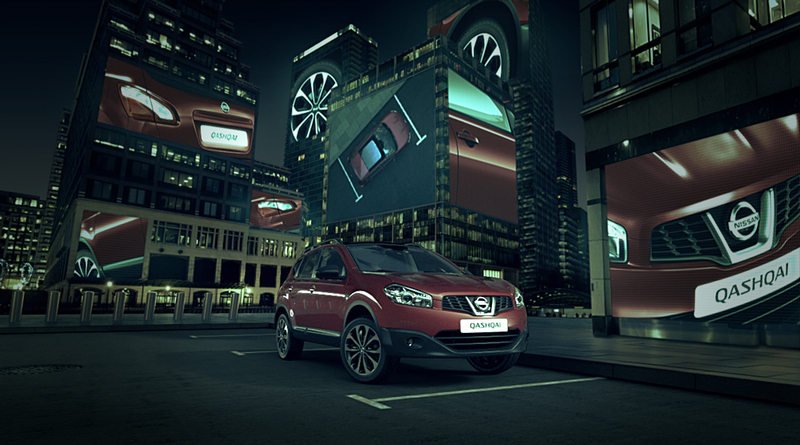 By the time we’d put all the lighting, colour and detail in, we had a good looking video of a Nissan Qashqai dwarfed by parking buildings. It was also our first banner ad for websites across Europe. So a first in many ways. Our friend Nick Smith (another plug!) overlaid it with the music for the director’s cut, which didn’t feature on the final ad. But what I loved about it the most was that I finally got to move Canary Wharf around exactly as I’d imagined when stuck in the gridlock on the packed roads below. Here is a link to Connected to the city TVC.